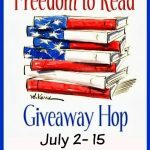 Rockin’ Reads Giveaway Hop – Escape Reality, Read Fiction! 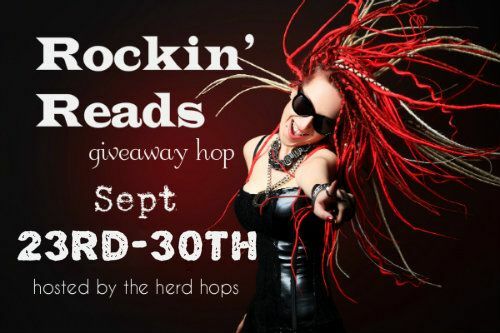 Welcome to the Rockin’ Reads Giveaway Hop. This hop is organized by The Herd Hops and hosted by Herding Cats & Burning Soup. Everyone needs a Rockin’ Read! Stop by Sept 23rd to 30th and find out which reads have rocked 2015 for us! There will be a giveaway on each blog so don’t forget to visit them all! My current rock star romance addiction is Nalini Singh’s Rock Kiss series. I got into it because I love her Psy-Changeling series, and wanted to see how she did with a completely contemporary romance. I love Psy-Changeling, but her Guild Hunter series (the one with the angels) just didn’t wow me for some reason. Rock Kiss, on that other hand, is a marvelously guilty pleasure. I really liked Rock Addiction and Rock Courtship and absolutely loved Rock Hard . I can’t wait to sink my teeth into Rock Redemption next month. For other variations on the rock star romance theme, there’s Olivia Cunning’s incredibly hot Sinners on Tour series, starting with Backstage Pass. For a view of the rock stars when they get back home, Lauren Dane’s Hurley Boys are a real treat. (Start with the marvelously titled (The Best Kind of Trouble) And for the rock star romance with a mystery twist, you can’t go wrong with Rhys Ford’s Sinners series, starting with Sinner’s Gin. There’s even a paranormal rock star romance series. (Probably more than one). But my favorite bite at this particular apple is Nico Rosso’s Demon Rock series, starting with Heavy Metal Heart. So what’s your favorite rock star romance, or which book rocked your world this year? For more fabulous bookish prizes, be sure to check out the other stops on the hop! The book which rocked my world has been Thirteen Reasons Why. It’s a tough call, The Shadows by JR Ward was awesome as was Revenant by Larissa Ione. I think Lenny Kravitz is awesome talented down right hot!! Thanks! The book rocking my world right now is Pieces of Perfect by Elizabeth Hayley. A book that I found captivating and memorable was The Time In Between. Thanks for this giveaway. 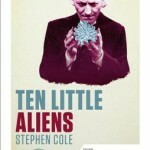 M. R. Forbes’s book Starship Eternal was most excellent! On the Fence by Kasie West. For me it was Jude Deveeaux’s Ever After from her Nantucket Brides series. Awesome reads. Divergent has rocked my year. The Sinners series by Olivia Cunning. I really enjoyed reading The Shatter Me series this year!! My current favorite is Her Hometown Hero!! Lexxie Couper’s Love’s Rhythm is one of my faves!! My 2015 Rockin’ Read is MY SAVIOR by Alanea Alder. This is from her Bewitched and Bewildered Series and I LOVE them! When a Scot Ties the Knot by Tessa Dare rocked my world this year! Quite a few books rocked my world this year, including the lovely new romantic suspense by Laura Griffin, Shadow Fall! Thanks for the giveaway opportunity! 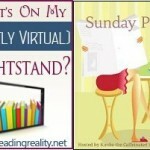 My Rockin’ reads are ANYTHING by Celia Kyle or Shelly Laurenston/G. A. Aiken. Just finished “Impawsable” and “Howl My Name”, both by Celia Kyle, and just picked up “Protecting A Mate”, also by Celia Kyle. I am waiting not so patiently for the next Dragon Kin book “Feel the Burn” to come out by G. A. Aiken. Burn for burn by Jenny Han and Siobhan Vivian. Books that have rocked my world this year: Mr. and Mrs. Doctor by Julie Iromuanya, Girl at War by Sara Nović, Make Something Up: Stories You Can’t Unread by Chuck Palahniuk, and The World Before Us by Aislinn Hunter. Finally getting a move on the Outlander series and really liked the first two! I liked Reckless by SC Stephens. I loved Lick by Kylie Scott. Christina Lauren’s Beautiful Secret. Thanks. Eden Summers’ Reckless Beat series is wonderful if you like rocker romances. She can really write a compelling tale. Thank you for this chance to win. This year, I’ve loved Samantha Ellis’ HOW TO BE A HEROINE, Aidee Ladnier’s THE KLOCKWERK KRAKEN, and Keira Andrews’ A FORBIDDEN RUMSPRINGA. I liked The Shadows by J.R. Ward. I’ve read many good books, but none of them rocked my world this year. I just finished The Martian by Andy Weir and loved it. The book that has Rocked My World would have to be Grey! My favourite this year was Pretty Girl-13 by Liz Coley. Thanks for the chance! My Favorite rockstar romance was Play by Kylie Scott. Thanks for the great giveaway! The book that rocked my world was Steel, Blood & Fire by Allan Batchelder. I’m digging Stephen King’s Mr. Mercedes. It is fantastic. Inferno by Kathryn Kelly is soooo good!!!! I loved Dead Heat by Patricia Briggs and Magic Shifts by Ilona Andrews! I loved Styxx (Dark Hunter series) by Sherrilyn Kenyon. Thanks for the great giveaway! The most recent book to rock my world is Archangel’s Enigma by Nalini Singh. Magic Shifts by Ilona Andrews & Too Hard to Handle by JAW. Ilona Andrews’s Magic Shifts has rocked my reading world this year. Contact by Susan Grant was my favorite. I enjoyed Nalini Singh’s Slave to Sensation. Magic Bites by Ilona Andrews rocked my year! I went to her book signing before I read the book and was hooked as soon as I heard her talk about it! I really enjoyed The Scary Girls by JD Kaplan. The two books that rocked my world are Devotion In Death by JD Robb and Dead Ice (Anita Blake Series) by Laurel K Hamilton! My favorite rock star romance is from Strings by Kat Green. It’s an amazing love, band, mystery story about a band, romance, kidnap, music, fans, fame, other bands, and a crazy people who…. well I’m not going to say any more! You’ll have to read to find out! Thanks for the giveaway and Happy Reading! This isn’t a genre that I usually read, but it seems like it could be quite fun. Thanks for the giveaway. Probably reading the Dark Elements series by Jennifer L. Armentrout really rocked me this year! I am enjoying The Outlander series. I like Kylie Scott’s Stage Dive series. I’ve only read Nalini SIngh’s rock star romances and I love them, apart from that I loved Beast Behaving Badly by Shelly Laurenston this year. 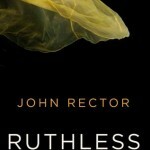 I’d have to say I loved Reckless by S.C. Stephens. 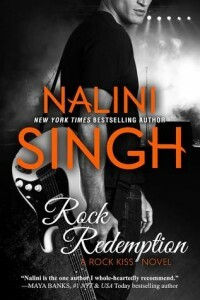 Love the Rock Addiction series by Nalini Singh as well! Also the Kate Daniels books by Ilona Andrews (should be read in order).